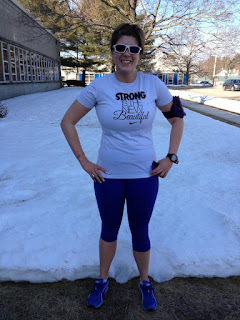 DoubleD Athlete: Mission Slimpossible- GOAL achieved! As you may remember I joined a group of friends to lose weight via a biggest loser competition on facebook. I thought it might be what would get me off my damn plateau that I have seemed to be stuck on for what seems like FOREVER! I started using myfitnesspal and tracking my calories again. This time being better about staying close to the needed calories for everyday and training. In the past when I have tracked calories I have tried to have a low number but D has really helped me make sure I am not falling into that trap again. For a couple weeks the scale stalled at 166. 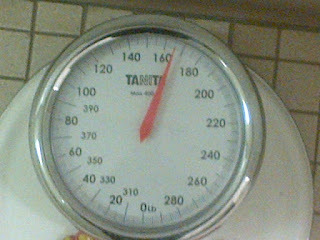 My goal weight when I entered the Mission Slimpossible was 165. Oh man come on one more stinking LB! D had noticed I was doing my old tricks of cutting too many calories. I spent another week focusing on making sure I came close to my calorie counts for the day. Obviously I kept up the workouts, tri season is coming... eventually! And I am trying really hard to make sure those calories are good calories. I got on the scale this week and the hard work paid off.... it read 165! YAY! I am hoping to keep this going. I am not sure how much more I want to lose... just want my little belly I have left to go away! So for now I will keep tracking my calories and keep up with the workouts. Hopefully the snow will melt soon tho we have had some pretty days that you can get out and actually run in short sleeves! Since starting the Mission Slimpossible with my friends I lost 11lb. I really think this will help this coming tri season. Can't hurt right? If I keep going I won't be eligible for Athena anymore.... which may not be a bad thing! Girl, you look great!! Love that photo you posted. Teeny tiny waist! And strong! If you lose an ounce, you're out of Athena now, thanks to that silly rule change!